The Echo Essentials Handwoven chenille body cloth fabric has been in high demand for the past two seasons. 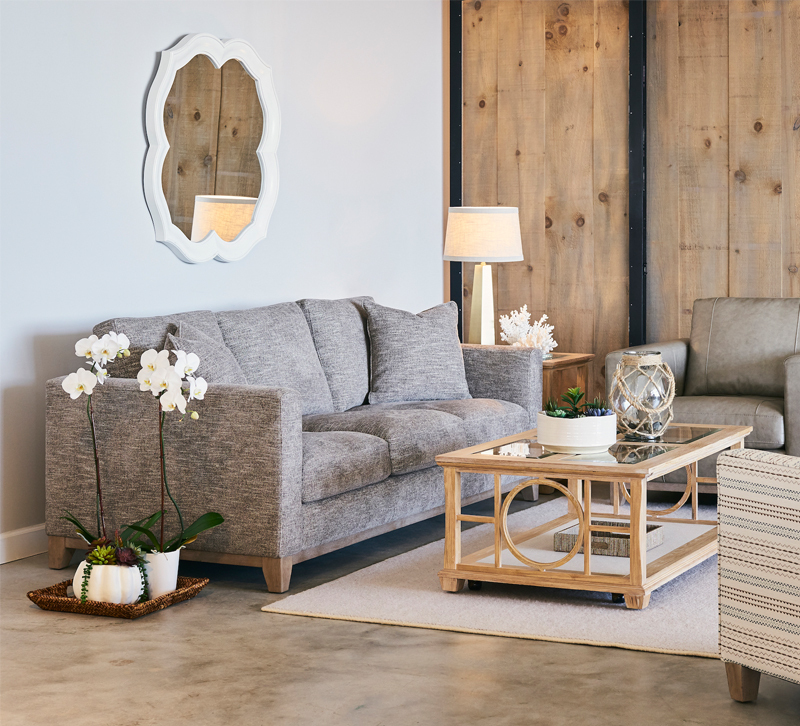 Nice Link Home Furnishings, a leading resource to top furniture brands for upholstery fabric and leather, hit a major milestone of selling over a million yards of its best-selling Echo Essentials Handwoven chenille body cloth fabric in 2018 alone. In high demand for the past two seasons, the Echo Essentials Handwoven chenille continues to be a proven winner at retail, said company officials. “While we have many winners in the chenille woven category over the past seasons, its uniqueness with regard to the aesthetic look coupled with the extremely soft hand has made the Handwoven body cloth one of those ‘lightning in a bottle’ type upholstery fabrics,” said Jay Carlson, President of Nice Link Home Furnishings. Three additional colors of the fabric were introduced at the ITA Showtime that just concluded, including a new organic parchment colorway. Additionally, Nice Link debuted three new printed poly velvet patterns and four new collections that Carlson said were among their strongest introductions in years. The Vintage Remix collection is inspired by both vintage textiles and Mid-Century Modern geometrics, featuring a current mix of ethnic and contemporary designs. The Relax & Recharge collection helps build a solid foundation to enhance the space and create a restful oasis with nature motifs such as tropical leaves and over-scaled florals complemented with more contemporary geometrics. The Global Entry collection reflects influences from around the world and creates a textural and sophisticated room setting. The High Drama collection shows off bold contrast, saturated colors and the Yin and Yang of the color wheel.